Madison, Middleton and West Middleton got smacked with a hail storm that generated 2-inch hail. Our in-area Madison crews are ready to help answer your calls and questions about what you should do, along with an evaluation of your property. Contact us today at 608-422-3977 in order for us to help you. Thorough roofing and siding – no matter where you are in the state of Wisconsin! 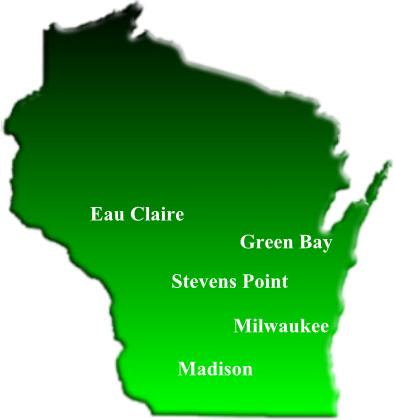 We are headquartered out of Green Bay Wisconsin, but also serve Eau Claire, Stevens Point, Milwaukee and Madison areas. Our specialty is dealing with hail damage to roofing and siding. Custom Renovations and Roofing a reliable team that is experienced and trustworthy. Just as important is that they have experience dealing with storm damage caused by hail, high winds and storms. Damage repair is the focus for custom renovations and they take it seriously. We also make sure that you are treated fairly by your insurance company when it comes to storm and hail damage claims as well. We know where to look for the evidence left behind of damage caused by storms and wind damage. At Custom Renovations, we offer the very best in roofing, siding and contracting work for your home or business. Serving Wisconsin since 1998, we can help with everything from remodeling and renovations to new construction.